If you like growing plants in your home or outdoors, you need lots of planters. 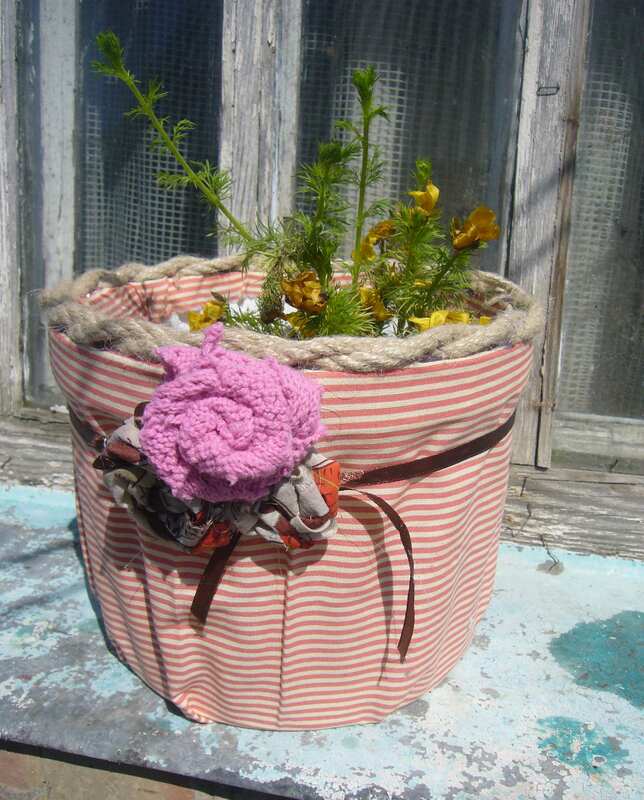 The good thing is that you can easily upcycle, recycle or decorate many things to turn them into planters. 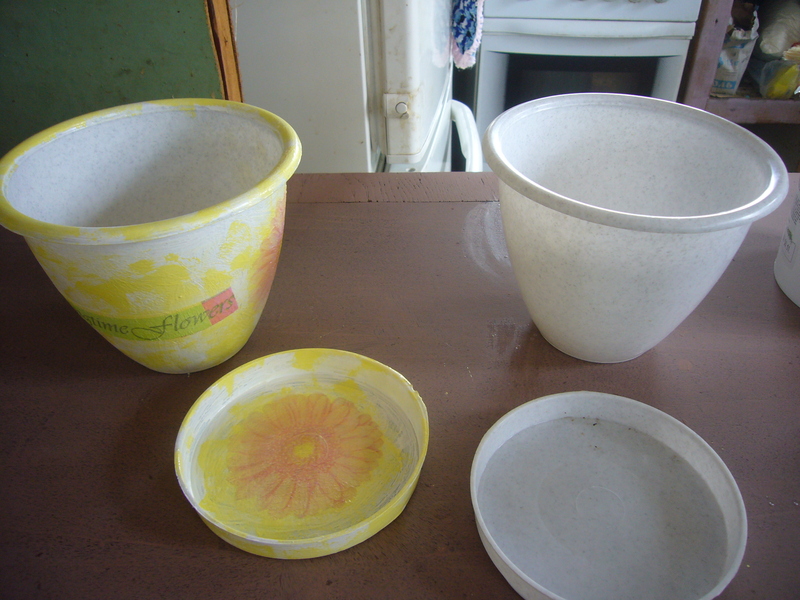 Or you can get some cheap and ugly planters and decorate them. Here are few ideas on containers or planters I have decorated or made. This was a plastic paint can. Plus, it was cracked in the bottom. I have used a piece of vintage fabric from my grandma’s attic for decoration. I glued it onto the container using a hot glue gun. Then I made some rolled fabric flowers and used a ribbon for decoration. The cracked bottom is not a problem, if you keep the planter outdoors. This is a great way to remove excessive water from the recycled planter. It’s an easy way to go green. 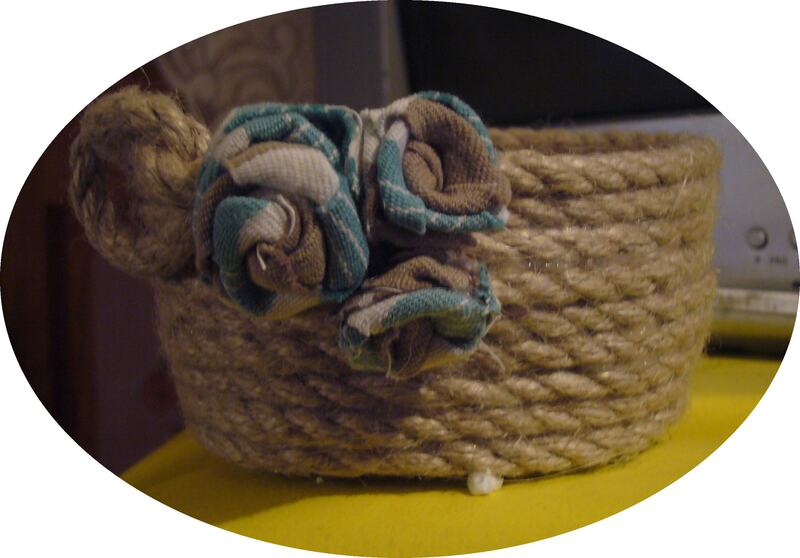 This is organic rope and I made a coiled rope basket out of it. Then I have cut the bottom part of a plastic bottle, decoupaged it and inserted it inside the basket. So, now it’s a planter. 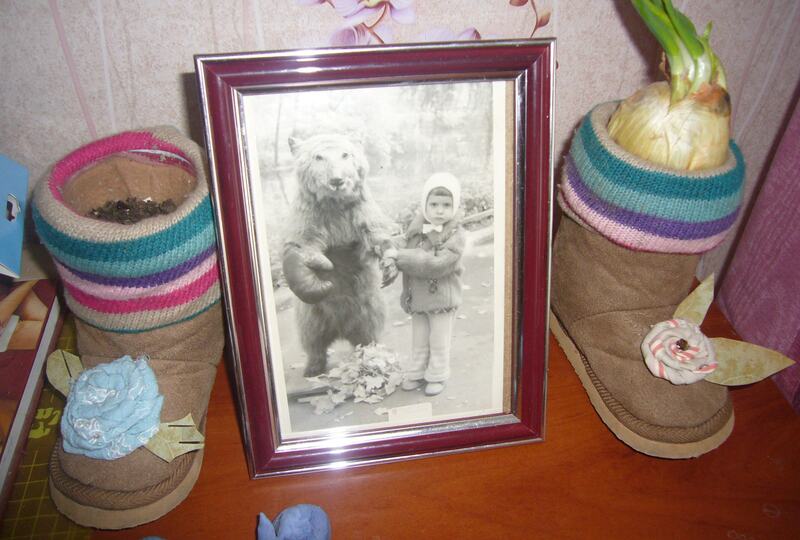 THese are the old baby shoes I was sorry to throw away. So, again I used plastic bottles to turn them into planters. This is a collection of the go green planters. The ones on the left are made out of milk packages. The ones in the middle are two cracked cups. The one on the right is a regular flower pot. I was ugly and brown. It’s a cheap planter. So, I decoupaged it and crocheted the edges over with some organic rope. 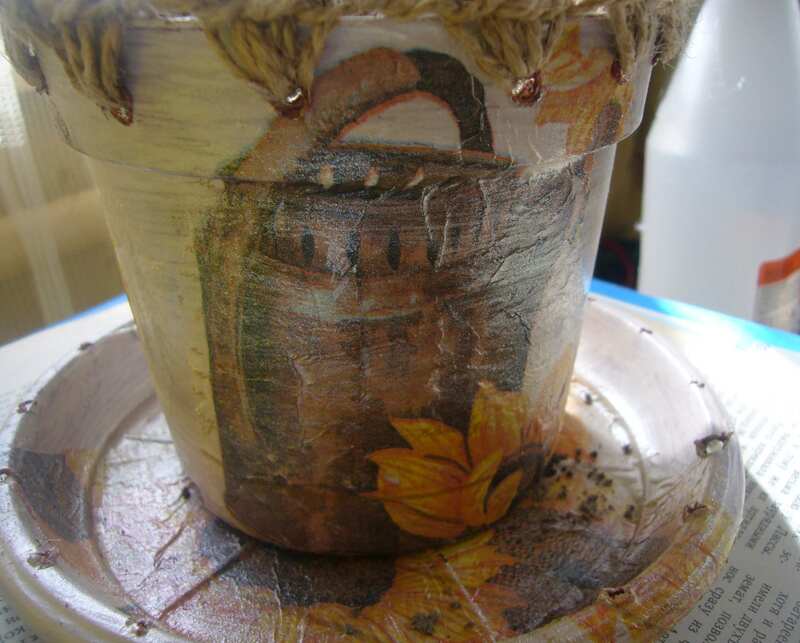 Here is another example of how you can transform a simple flower pot into a nice looking one using decoupage. As you may see, there are many things you can turn into planters. Check out my Pinerest Gardening board for more ideas. 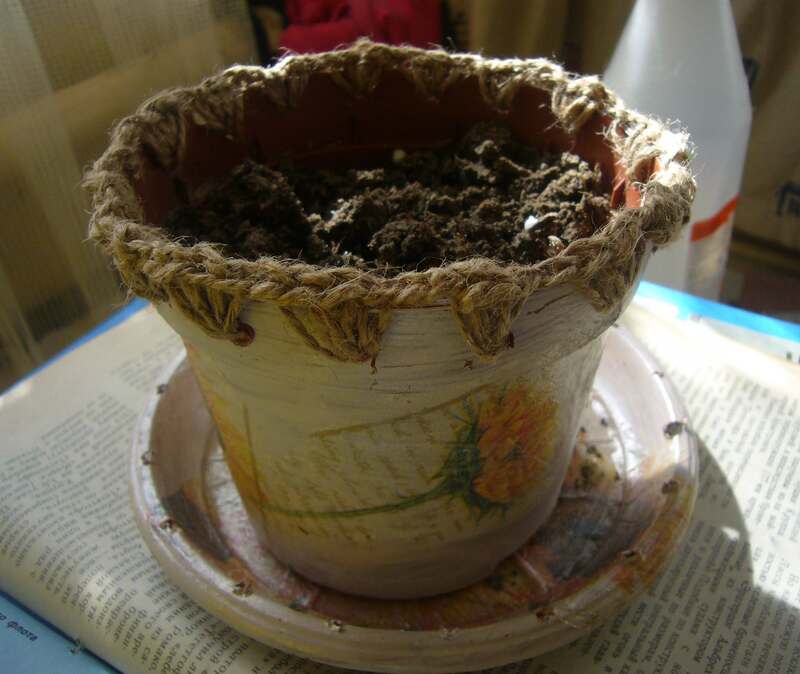 This entry was posted in Decoupage ideas, Go green and tagged crafts, decoupage ideas, decoupage on flower pots, diy planters, flower pots, gardening, go green, green crafts, pinterest, planters, recycled crafts, recycled yarn, upcycling. Bookmark the permalink.